Cara-Friend LGBT Youth Belfast meets on Fridays in the Belfast LGBT Centre from 6pm-9pm. 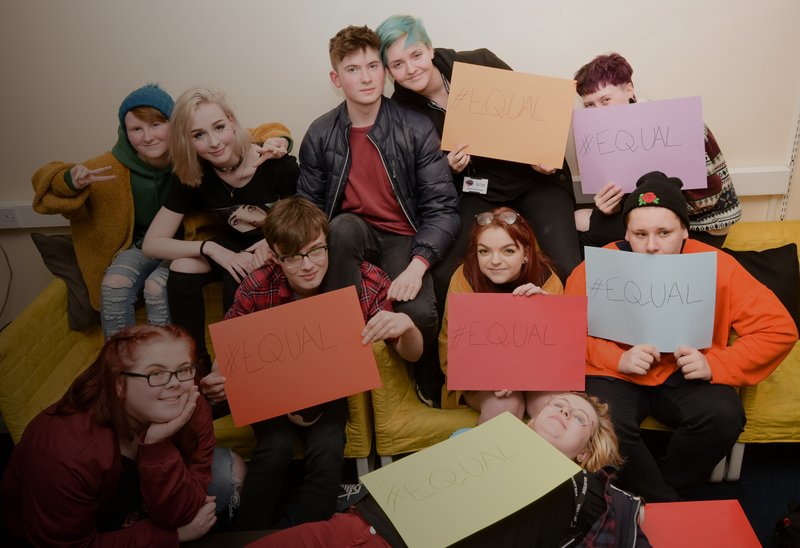 The Friday night drop-in is for LGBTQ+ young people aged 16 and over with an upper age limit of 25. All are welcome, including new members. Check out our blog for the latest news and events. If you’d like more information, just contact us! Cara-Friend is a Registered Charity (No: NIC106210). You can support Cara-Friend by making a donation to us. Make a donation today through MyDonate. The Belfast LGBT Centre welcomed a special visitor today in the form of Clare from #DerryGirls, aka the wonderful actress @nicolacoughlan ! Had a great chat about issues facing LGBTQ+ people, particularly marriage equality.